of Life Eldercare, who will be speaking about their FREE fall prevention program, which has helped to prevent many osteoporosis related fractures. causes of inflammatory low back pain like ankylosing spondylitis, psoriatic arthritis, inflammatory bowel disease related arthritis and reactive arthritis. 2011 Fall Mini Conference for Lupus "Meds, Diet, & Movement"
Kaiser Santa Clara, Room HOS B-6, 710 Lawrence Expressway, Santa Clara, CA 95051. Dr. Shibuya is one of the speakers. Registration fee: $20 (include a boxed lunch). Please RSVP here No one will be turned away for inability to pay. 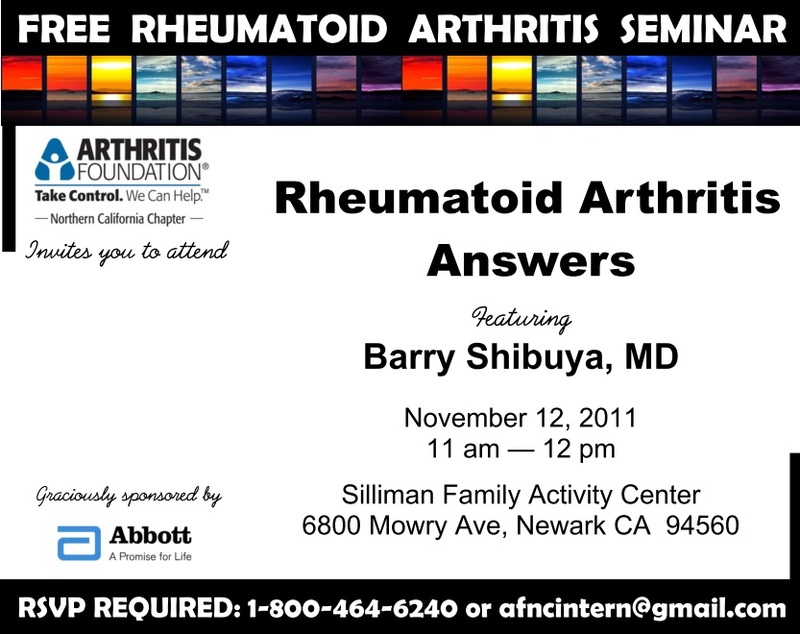 "Rheumatoid Arthritis Answers" Free Seminar, Silliman Family Aquatic Center -6800 Mowry Ave., Newark, CA 94560. 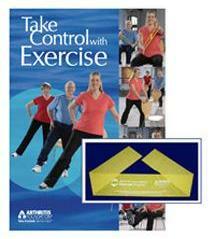 Are you one of the nearly 1.3 milion people in the US living with RA? Learn to identify the symptoms and challenges of this disease - and what you can do about them. Speaker: Dr. Barry Shibuya. Call 1-800-464-6240 between 9am-5pm or email afncintern@gmail.com anytime to RSVP. Speakers: Dermatologist — Robert G. Greenburg, M.D., F.A.A.D. Rheumatologist — Barry Shibuya, M.D. Sensitivity, Pain, Fatigue… Is It Fibromyalgia? 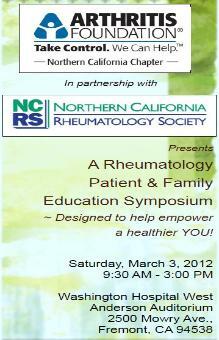 Wed, March 14, 2012 from 12 noon to 1 p.m.
or register with the front desk (510-791-1300). Light refreshments will be provided.